These are the cornerstone of many storage and distribution systems, where they perform loading, stacking and horizontal transport functions. 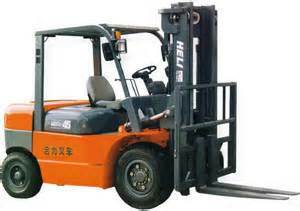 Toyota engine-powered forklifts from Toyota set industry standards for safety, productivity, reliability, comfort and environmental performance. 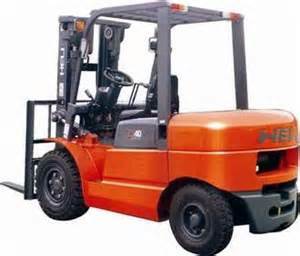 Toyota engine powered forklifts feature dedicated Toyota diesel and LPG engines for optimum performance. 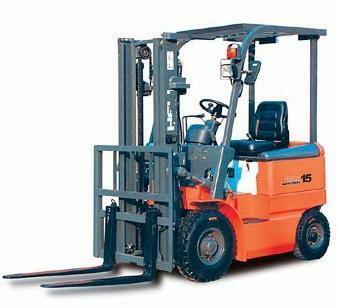 With the latest safety technologies and ergonomics, as well as load capacities ranging from 1.5 - 8.0 tonnes, you can be sure there is a Toyota forklift to meet your needs. This Heli range comprises models with capacity from 1.0 to 3.5 tonnes powered by diesel or LPG engines. Equipped with high-quality engine, the emission meets the latest European EC and the EPA environmental regulation.The use of non-asbestos insulation equipment is very effective to lower down the noise. The innovative design and optimized configuration of the lifting systerm improve the operators, visibility greatly, and provide a clear and accessible focus of vision to ensure the safety & efficiency of operating. On this range through optimum design of the hood and tilt cylinder, the space for driver's leg is twice wider than other models, the bigger footplate make the operators to get on and off with ease. Such capacious space ensures the operating more comfortable. The sedan-type display and double-handle combined F/R direction switch to ensure more convenient and smooth operation. Labor saving mini-type steering wheel. Suspension seat with armrests, seat belts, safe and comfortable.